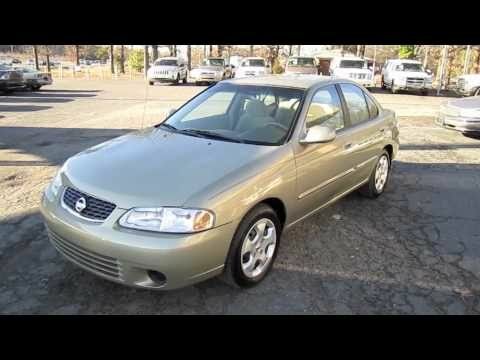 2003 Nissan Sentra performance review. The Nissan is gas economy ( 29 /42 mpg) durable, and trouble free, it is comfortable. Little to no maintenance compact yet spacious room inside. Powerful 1. 8 EfI engine, automatic transmission. Quiet, runs forever when it comes to mileage. We have only had to keep the oil changed with a new engine belt. Otherwise it is efficient and have power windows. My highlight for it is that it takes me to work and back. Sometimes because it is an old car it kind of gives problems but overall it runs good, I honestly would give it a 7 out of 10 on a scale of 1-10. It's a good car just not my thing. I prefer a newer model. Its reliable for close distances. If you use it to go out of state it might give you issues as it has done for me. On certain MY 2000-2002 passenger vehicles equipped with the QG18DE engine and MY 2002-2003 passenger vehicles equipped with QR25DE engines, the foam material used for the interior lining of the Electronic Control Module (ECM) box emits sulfur as it cures. If one of the resistors inside the ECM has a crack on the surface coating, the gas may cause corrosion of the resistor. This could cause the Malfunction Indictor Light to come on, poor drivability (idle instability, poor accelerator), or the engine to stop running during vehicle operation, which could result in a crash. Dealers will remove the inside lining material from the ECM box. The manufacturer has reported that owner notification is expected to begin during December 2003. Owners may contact Nissan at 1-800-647-7261.